Watermelon Margaritas & homemade Watermelon-Infused Tequila! Watermelon Margaritas taste like summer and are best using easy-to-make homemade Watermelon-infused Tequila! 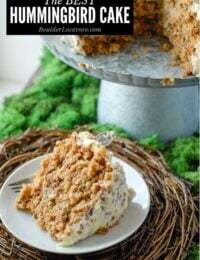 You’ll want a batch in your refrigerator all summer long. Margaritas are a summer cocktail favorite but none quench the thirst or the palate as much as Watermelon Margaritas. 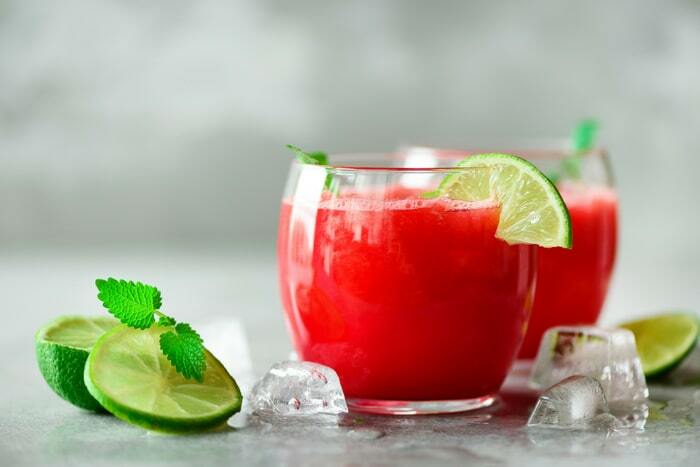 Cool and refreshing, watermelon margaritas seem to instantly take the heat out of the steamiest of days. My favorite way to make watermelon margaritas is by home infusing tequila with fresh watermelon. It gives the tequila a true watermelon flavor with only a few days of infusing. When it’s ready some of the watermelon-infused tequila and boozy watermelon chunks are added to other delicious ingredients to make the best watermelon margarita you’ve ever had! Infusing tequila is very simple and will take about 5-10 minutes to set up. 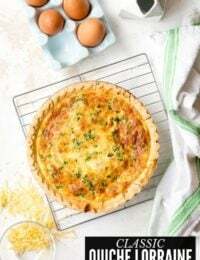 Trust me, after doing this just once, you’ll have a batch at the ready in your fridge all summer long! Making homemade watermelon-infused tequila is easy and gives a fresh flavor to watermelon margaritas. 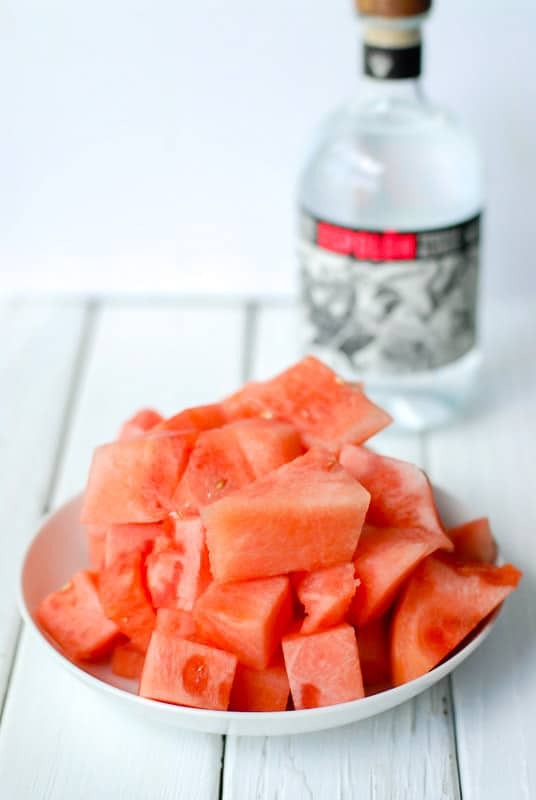 Fresh chunks of seedless watermelon are added to quality blanco or silver tequila and allowed to steep for 2 days to a week. When the infusing time is over, leave the watermelon tequila in the refrigerator to have ready for fresh batches of watermelon margaritas whenever you want them. Why Use White (Blanco) or Silver Tequila for Homemade Watermelon Tequila? 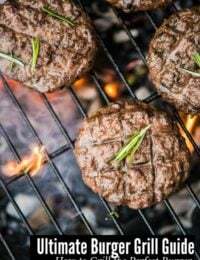 White (blanco) and silver tequila are not aged and hence do not have a strong flavor profile making them perfect for this recipe. Additionally, 100% agave tequila will include no additives. 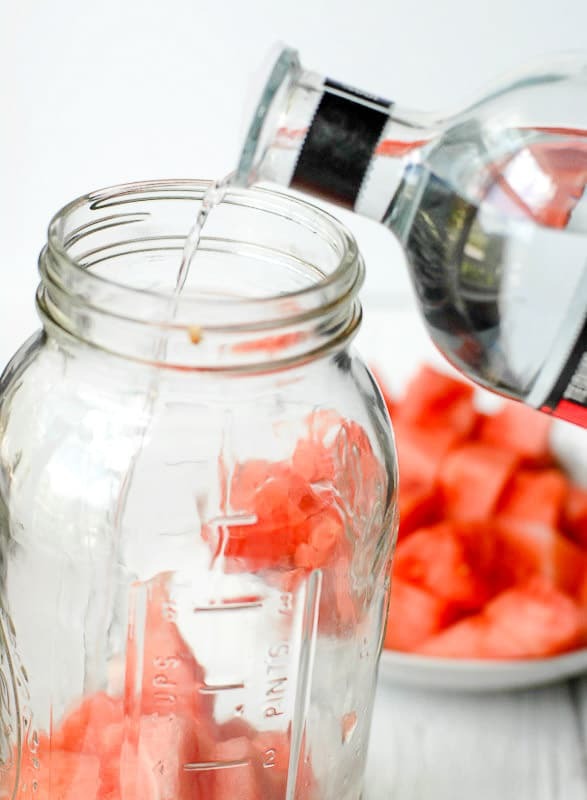 I use a glass 8-cup Mason jar with a lid to make homemade watermelon tequila. Alternatively, you could use ajar with a spigotwhich allows easy draining of the tequila when it’s done. 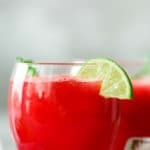 The watermelon margarita recipe I make and shared here uses the chunks of watermelon too so requires removing some from the jar with each batch (something to consider when selecting the jar). The watermelon tequila should be made in a glass container (not plastic or metal). Step 1: Wash and dry the glass container to used for infusing the tequila. 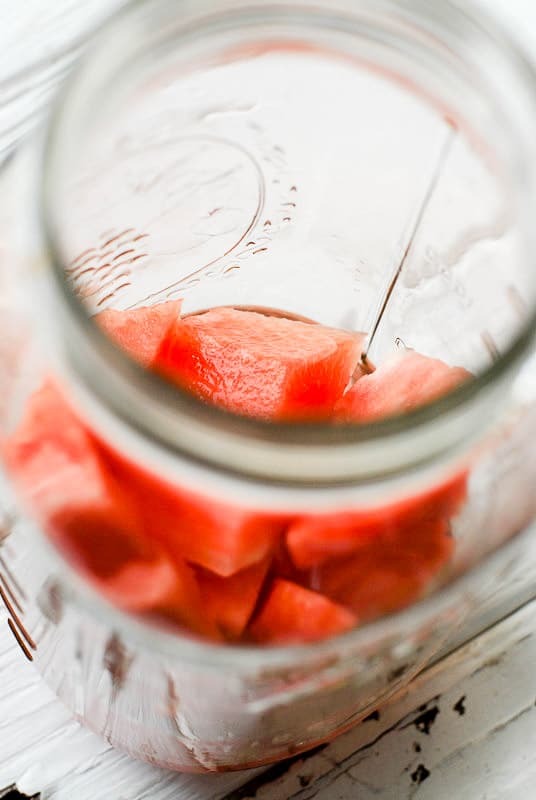 Step 3: Add the watermelon to the prepared jar and pour in a 750-ml bottle of Blanco or Silver Tequila. Step 4: Allow to sit in the refrigerator for a minimum of 2 days, preferably 1 week. Step 5: Once the infusing is complete, keep the jar with the watermelon and tequila in the refrigerator always on the ready for making watermelon margaritas! Once the watermelon tequila is ready, making watermelon margaritas is easy and can be done in a few minutes! 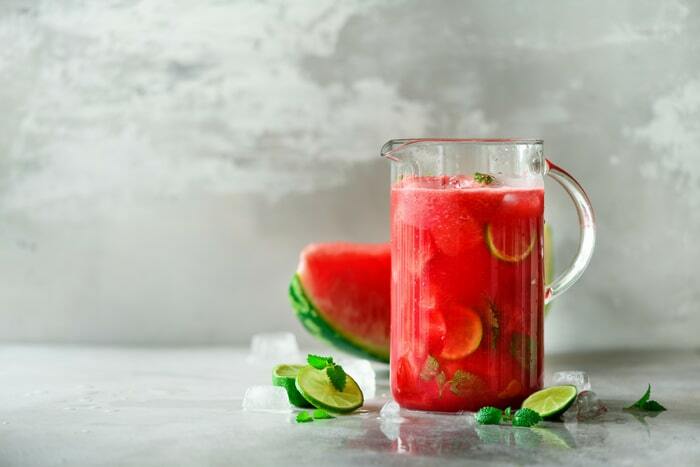 Two ounces of the watermelon tequila, a few chunks of the boozy watermelon, some frozen limeade, orange liqueur (Cointreau or Citronage) and ice are added to a blender and processed until slushy. 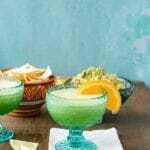 NOTE: the ingredient quantity in the recipe can be multiplied to make multiple margaritas in one blending. If you love these watermelon margaritas you’ll want to be making these watermelon cocktails too: Watermelon Basil Gin Cocktail, Watermelon Tequila cocktail, Watermelon-Banana Rum Coolers, Watermelon White Wine Spritzers, and Watermelon Gin Punch. That should keep you busy for the rest of the summer! 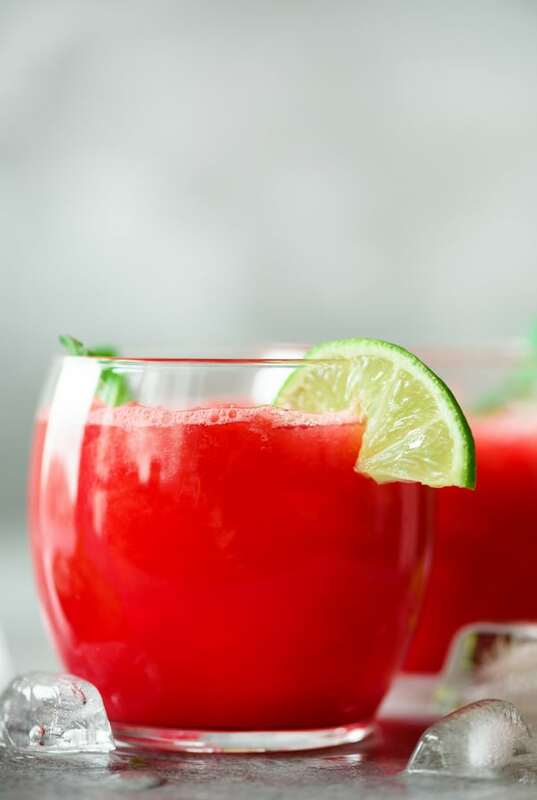 If you’ve tried this Watermelon Margarita recipe please RATE THE RECIPE below! Watermelon-Infused Tequila + Watermelon Margaritas! 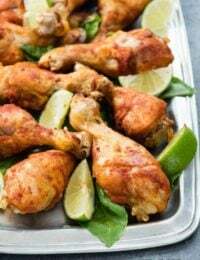 This fun, fresh infused tequila is a great staple to keep in the refrigerator all summer long.Note on Tequila type: White and silver tequila are not aged and hence do not have a strong flavor profile making them perfect for this recipe. Additionally 100% agave tequila will include no additives. The TOTAL TIME reflects a two day infusion time for the tequila. Wash and dry jar. Add watermelon and tequila and seal. Allow to sit in the refridgerator at minimum of 2 days, preferably 1 week. Once complete keep in the refrigerator to have it chilled and ready for use. This sounds so refreshing! I have to try it out but virgin style! I’m not sure you actually could make this recipe a ‘virgin’ unfortunately. Since the main ingredient is watermelon soaked in tequila I don’t think there would be a good mocktail replacement for that. Such a fantastic idea! This might be my new favorite summer drink! 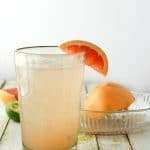 Sure looks like a really refreshing drink to enjoy this summer! I love watermelons and I wish I could have it year round, but since that won’t happen, I will just enjoy it while I can! 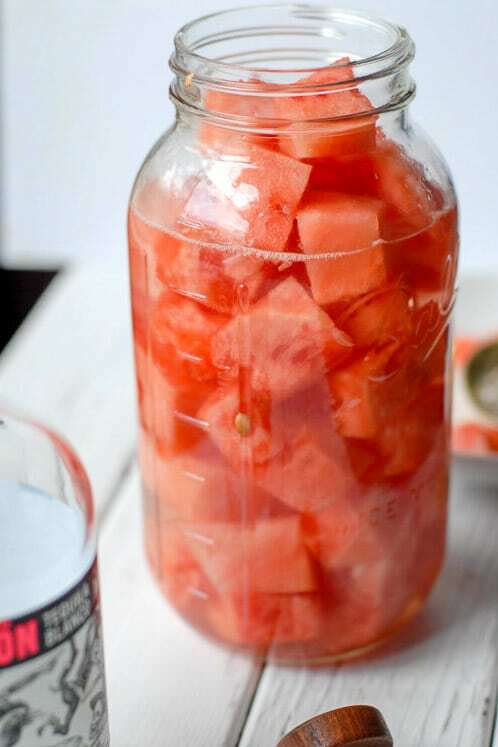 I am saving your recipe for this yummy watermelon infused tequila! 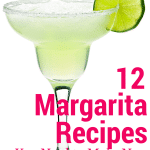 I love to drink margaritas and a watermelon margarita sounds delicious! 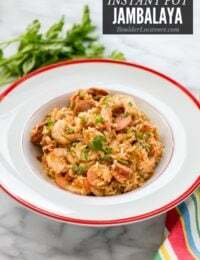 I definitely wanna try making this sometime. Thanks for sharing. 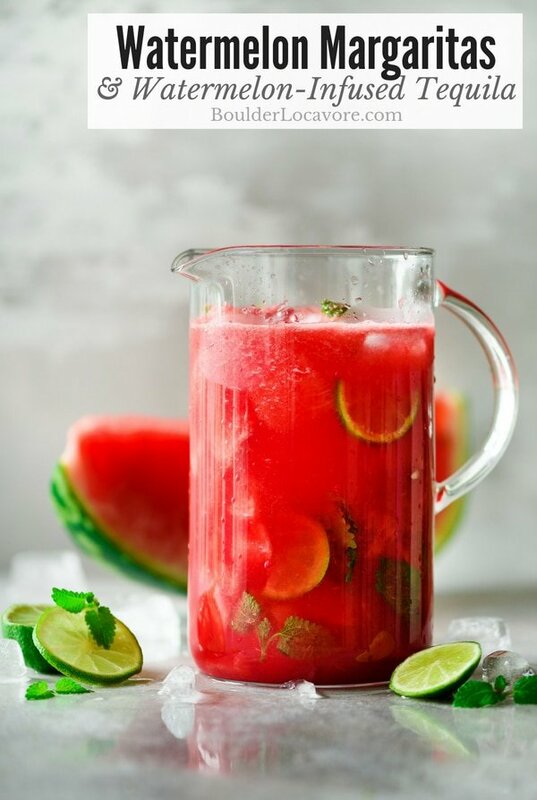 I love watermelon in anything so these are the perfect summer drinks! I’m going to try to make the watermelon margarita for an upcoming party. 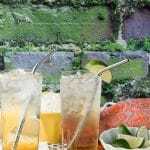 Refreshing drinks is a must during the summer! We love having friends over and it would be nice to have some cocktails and cold refreshments while we’re catching up! 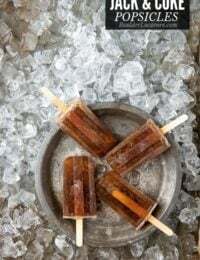 This is perfect for the hot weather! Watermelon is the perfect summer flavor. It’s perfect in a refreshing beverage too. Now I want to infuse all of the tequila!! Watermelon is the perfect summer treat!